The second day of the juniors had a more settled outlook than the opening exchanges as the first round matches were concluded and exits occurred elsewhere en route to the third. 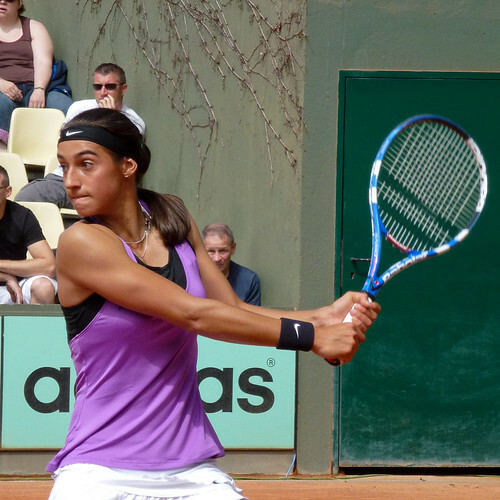 No youngster carried more expectation than Caroline Garcia with the tennis world now keeping a keen eye on her progress to the WTA world number one spot, according to Andy Murray. She handled it well. The French 17-year-old only stayed on court for just over an hour as she overcame her Russian opponent Victoria Kan 6-1, 6-4. Argentinian qualifier Catalina Pella will be her next adversary. The notable absentee from the rest of the second round names is Ganna Poznikhirenko after the Ukrainian 12th seed lost to Australia’s Ashleigh Barty. The 15-year-old came through in an epic battle which saw two tiebreaks going 11-9 to Poznikhirenko and then 10-8 to Barty before she managed to win with a 6-3 scoreline in the third set. In the second round matches it was another Frenchwoman who had the attention as Estelle Cascino beat eighth seed Montserrat Gonzalez in straight sets. Her next opponent will be ninth seed Ons Jabeur while some interesting match-ups are already beginning to form in the third round. Daria Gavrilova (1) will play Maryna Zanevska (14), Alison van Uytvanck (11) faces Yulia Putintseva (7) and Monica Puig (5) has a tricky tie against unseeded Ukrainian Sofiya Kovalets. The boys’ singles draw is looking wide open with just two seeds through to the third round and only seven left in the whole tournament. Top seed Jiri Vesely’s exit couldn’t have been a more stunning start and seemed to have set a trend but there was little trouble for the second seed Hugo Dellien who came through his first round match 6-3, 6-2. There wasn’t such joy for 13th seed Thiago Moura Monteiro though. In a deciding final set which lasted almost two hours, the Brazilian lost 14-12 to French wildcard Laurent Lokoli in his opening match. It was a bad day in general for Brazil as their 10th seed Bruno Sant’anna lost in the second round to Miki Jankovic (no relation to Jelena). But perhaps the biggest surprise of the day was Andrew Whittington’s defeat not just for the eighth seed crashing out but the manner in which it happened. 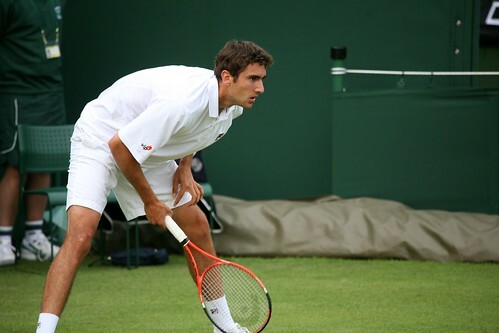 It took just 49 minutes for Spain’s Oriol Roca Batalla to seal victory as he crushed his Aussie foe 6-1, 6-0. Elsewhere there were wins for Viseley’s successor Yaraslau Shyla against the USA’s Shane Vinsant and fifth seed Roberto Carballes Baena also made it to the third round. A full check of the Day 2 results, scores and match statistics for the boys’ singles and girls’ singles is available via the Roland Garros website. With 18 of the world’s top 20 juniors in the boys’ draw it was a strong field but already that tally has fallen to 12 as the seeds dropped like flies on the opening day. The biggest shock by far was the fall of top seed, world number one and Australian Open boys’ champion Jiri Vesely to Belarus’ Yaraslau Shyla. Vesely claims clay is a good surface for him and he looked right when kicking his tournament off with a 6-4 scoreline in set one. But the Czech was pegged back in the second, losing it 6-1 before being seen off in the decider with a reverse score of the first. Shyla had only played in one Grand Slam event before this one and the 18-year-old described the win as “perfect”. Also being taken out was Austrian Patrick Ofner who a week ago had been in the final of another Grade A event, the Trofeo Bonfiglio. His performance in that tournament increased his ranking position 14 places and into the top 10 but he succumbed to one of the players he overtook in Andres Artunedo Martinavarr. The Spaniard may fancy a decent run after his half of the draw was weakened by sixth and seventh seeds Tiago Fernandes and Mate Pavic’s exits. 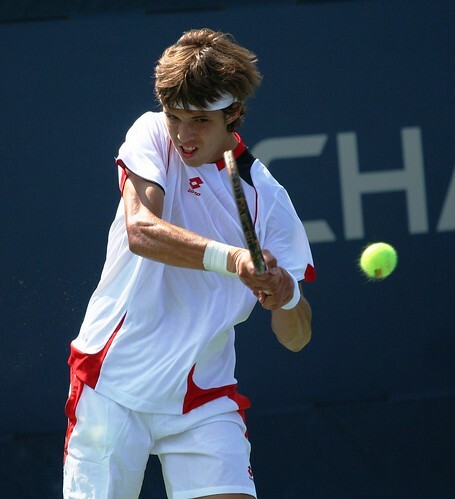 Fernandes, winner of last year’s Australian Open juniors, was forced to retire against Filip Peliwo whilst Pavic lost at the hands of Lukas Vrnak in straight sets. Britain’s George Morgan (9) also fell along with Australian Luke Saville (15) but there were wins for Oliver Golding (4), Roberto Carballes Baena (5), Andrew Whittington (8), Joao Pedro Sorgi (10) Dominic Thiem (14) and Bruno Sant’anna (16). The girls’ singles was relatively quiet in comparison. Russia have been doing well at this year’s French Open so far and that trend continued with first and second seeds Daria Gavrilova and Irina Khromacheva coming through with no trouble. The only casualties of note were Argentina’s Victoria Bosio (16), the Ukraine’s Kateryn Kozlova (15) and Japan’s Miho Kowase (10), the latter being beaten by 16-year-old Sofiya Kovalets who’s an unseeded danger at 21st in the world. 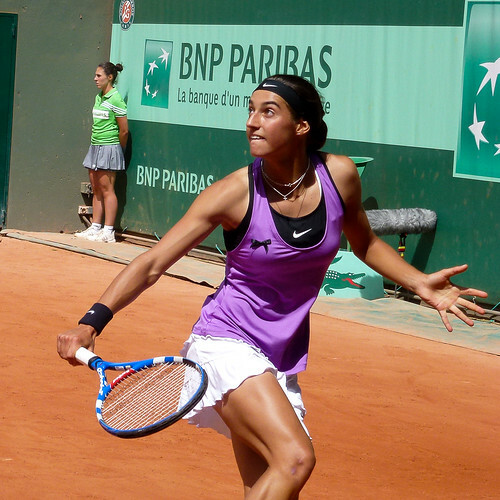 All eyes will be on third seed Caroline Garcia today as she starts her campaign in the juniors after being two games away from beating Maria Sharapova in the second round of the women’s singles. To see the results and scores in full then the Roland Garros website has all the details from the boys’ singles and girls’ singles. The French Open juniors starts today with the main draw missing some decent players who lost out in qualifying. Qualification top seed and world junior number 45 Frederico Ferreira Silva didn’t even last the first round as Croatian Filip Veger beat the Portugese and then Sweden’s 13th seed Stefan Lindmark in straight sets to book a main draw spot. He joins fellow unseeded players Gianluigi Quinzi and Aslan Karatsev along with five of the 16 seeds in the boys’ draw which features 18 of the current top 20 juniors in the world. Of the eight players to get through in the girls’ qualifying four were seeds but such is the magnetism of the Grand Slam occasion, there was an array of highly-ranked players even in the qualification rounds. Also some of the players only choose to participate in the Grand Slam or Grade A tournaments of the junior circuit as they concentrate on the ITF events and aim to establish themselves on the WTA tour. Therefore even if a player is ranked low on the junior rankings they are a threat. To see how all the qualifying rounds panned out then the boys’ and girls’ singles results are available via the ITF website. The biggest second round story from Roland Garros surrounded a French teenager who almost won the breakthrough game of her career. Caroline Garcia found herself a set and two breaks up against world number eight and three-time Grand Slam champion Maria Sharapova before losing 11 straight games. The 17-year-old from Lyon looked cagey at the beginning of the match after struggling to hold serve and it looked as if that was how the rest of the afternoon would go. Then she broke Sharapova and the crowd began to lift, suddenly sensing their homegrown talent had a chance against a title favourite whose prospects had increased after Kim Clijsters’ earlier defeat. Sharapova’s exit would have been more of a shock seeing as she won in Rome recently and Clijsters had only just come back from injury. Garcia took the first set 6-3 and although she should be admired for that, her Russian opponent was unbelievably poor at times. A stat which stood out was Garcia winning 16 points in 4-8 stroke rallies compared to Sharapova’s four. Not surprising when she describes herself on clay as “a cow on ice”. But for however bad the seventh seed was, Garcia can be given much credit. The power on her is remarkable at such a young age and to even be taking Sharapova to lengthy rallies and bossing her in them is also a feat. In the second set particularly, her shots, including a stunning return of serve, made her look as if she was the world’s top 10 player up against a wildcard. It was going great until she was broken at 4-1. Sharapova then held to take it to 4-3 before the turning point. At 30-30, Garcia hit a shot narrowly close to the baseline which, if in, would have put the momentum back in her favour. The umpire had a look and agreed with the original long call, much to the dismay of the French crowd. From that moment onwards, Sharapova broke again and never looked back eventually winning 3-6, 6-4, 6-0. A cruel last set for the youngster but along with her second round appearance at the Australian Open this year she’ll climb the rankings and should find herself in the top 150. It was apt that Garcia announced herself to the world after playing Sharapova, having won Wimbledon as a 17-year-old. Like she pointed out in her post-match interview, she’d already been around the tour a while before that win so the fact Garcia is playing more ITF events than junior tournaments is encouraging. What’s impressive is her nerve. She did look tense before stepping out onto Philippe Chatrier Court but after breaking Sharapova on several occasions she looked composed until the capitulation was triggered. Experience will aid her and once that inevitable big win comes she’ll be reaping the benefits. Andy Murray was certainly impressed and Garcia will next be seen in the juniors tournament on Monday, so expect more from her progress here next week and certainly beyond that. It’s come to my attention that I haven’t mentioned the Petkovic dance on this blog yet. As she’s getting better, it will become more frequent; a future Grand Slam victory dance perhaps? Andrea, please don’t ever stop. The 2011 Trofeo Bonfiglio boys’ singles final strangely finished with the same scoreline as the girls’ final as Filip Horansky won 6-4, 6-2 against Patrick Ofner. It marked the first time a Slovakian had won at the boys’ event and the 18-year-old will be hoping to add more success to his maiden Grade A tournament victory. 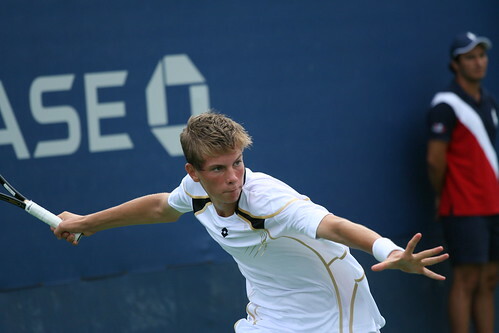 Being the seventh seed and junior world number 10, Horansky went into the match as the favourite. Plus his unseeded Austrian opponent had won just once at a Grade A tournament before this one, so reaching the final was a surprise in itself. The match definitely wasn’t a classic with several exchanges of breaks in the first set. After Horansky took an early 4-1 lead, he was then pegged back but managed to come through and take it 6-4. Horansky put the victory down to Ofner’s tiredness as the Slovak led 3-1 and 4-2 in the second. The last two games epitomised the match. At 40-0 down, Horanksy came back to break before struggling to serve out the championship. He squandered two championship points before Ofner failed to convert a break point. But similar in conduct to the whole final, Horansky did enough to secure victory eventually winning on his fourth championship point. As with the girls’ singles, highlights of the boys’ final and surreal Rocky-style music can be found on La Gazzetta dello Sport website.